Johhanesburg, May 3 Think tanks from the five BRICS countries — Brazil, India, China, Russia and South Africa, have agreed to come up with a road map to create digital diplomacy. 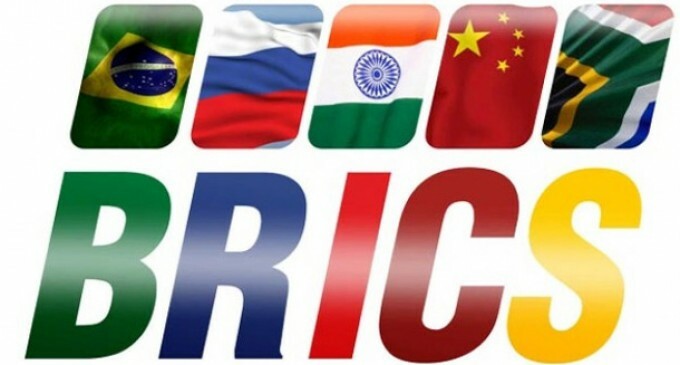 This merged from the just ended BRICS digital conference held in New Delhi on April 28 and 29, Xinhua news agency quoted Sandiso Ngcobo, who joined a South African think tank delegation to the conference, as saying on Monday. BRICS think tanks had gathered to find a common ground in addressing the regulation of cyber space and shared skills, Ngcobo said. Despite different cultural, political and economic backgrounds, the BRICS have found common ground in main issues, said Ngcobo. “I am happy with what happened in India. We managed to exchange knowledge and skills. We discussed how the internet could be used to address socioeconomic challenges and we agreed in those aspects,” he said. The BRICS think tanks also addressed the issue of language barriers, taking into account that information in BRICS countries is mostly communicated in English, thereby leaving many outside, Ngcobo said. They also agreed to address gender imbalance and empower women by elevating them to powerful positions, he said. “We reached a common ground to regulate cyberspace. We know that we have different cultures, and different political and government structures. We want to use technology to address social economic challenges and make it inclusive,” Ngcobo said. This would help harmonise cyber space to promote international trade and e-commerce, he added. The BRICS think tanks will meet in India again in October this year prior to a political leadership meeting. Diplomacyindia.com Video Interview with Shri Dnyaneshwar M. Mulay Secretary (CPV & OIA), Ministry of External Affairs speaking on safety & security features of the passport documents in an era of digitalisation his cherished moments & milestones as “Passport Man” of India tranforming the entire passport landscape. Exclusive Interview to Diplomacyindia.com with Shri Upendra Tripathi, IAS Interim DG, International Solar Alliance (ISA) speaking on the journey of ISA so far, guiding principles, vision & priority areas & programmes for ISA. 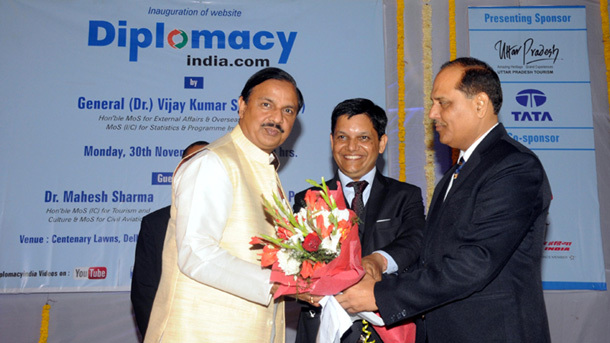 Exclusive Interview to Diplomacyindia.com with Shri Upendra Tripathi, IAS Interim DG, International Solar Alliance (ISA) speaking on expanding rank of international solar alliance & opening the membership to the countries beyond tropics. Exclusive Interview with Prime Minister of Guyana, H.E. Mr. Moses Veerasammy Nagamootoo during his recent visit to India.Highlights of the interview were Indian Cultural Connect, Vibrant Bilateral Ties and Cultural Connect and India’s Economic Prowess. © 2018 Copyright DIPLOMACYINDIA.COM. All Rights reserved.